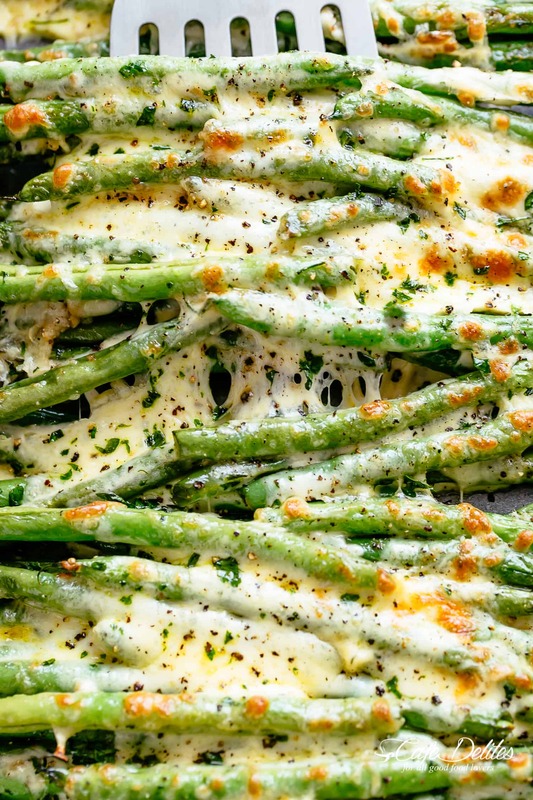 Successfully saved Cheesy Garlic Green Beans to your Calendar. You can also save the ingredients to your Grocery List. Cheesy Garlic Roasted Green Beans with mozzarella cheese is the best side dish to any meal! Low Carb, Keto AND the perfect way to get your veggies in! Tastes so amazing that the whole family gets behind this one.